Knowing what a baseball glove is won’t be enough when it comes to improving performance. For today’s youth, the gloves they use can and often do make all the difference. Now, this list isn’t going to be of the most expensive or newest models. These are affordable and backed by hundreds of high quality customer reviews. There are literally thousands of gloves for softball and baseball online, but you don’t have to go through each one, as here’s a list of the best baseball gloves for youth. When talking about the best youth baseball glove, it’s impossible not to mention the Easton ZFX, as it’s one of the best in the business. One of the more striking aspects of the ZFX is the 2-1-1 palm design and extra stall length that provides additional leverage during the game. The basic process of making a baseball glove is the same, but the ZFX has changed things up a bit thanks to its proprietary Z-Flex gloves that makes it easy to squeeze, which is exactly what kids need. A quick look at the gloves will also reveal that the gloves come with elastic strips on the palm. It’s this feature that gives the ZFX its soft, flexible feel. Another thing you’ll notice with the glove is that it’s significantly larger compared to others. That’s definitely an advantage. This not only makes catching balls easier but makes it ideal for beginners as well. 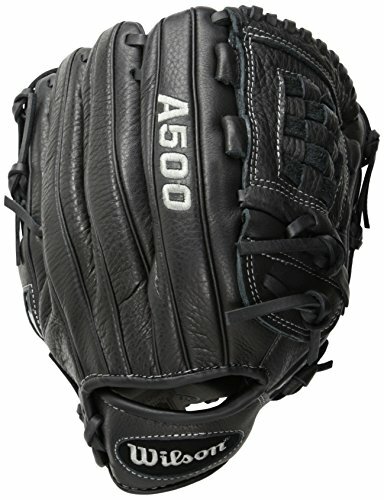 This glove is great even for kids that don’t play baseball in an organized manner. As far as quality goes this is as good as they come, and you can expect this to last for a long time even if your child wears this regularly. The palm padding is very good as well. This truly is the best youth baseball glove for beginners. 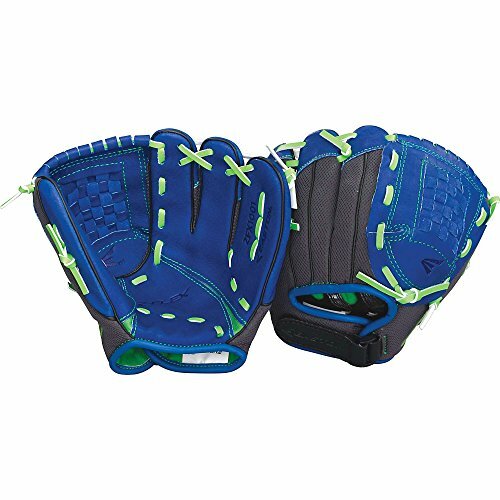 Few baseball gloves for kids are as good as the Players Series from Rawlings. The company is known for their quality baseball bats, and their gloves are just as good. Designed for kids who are just learning to play the game, the glove is soft on the hands, easy to use and flexible. The shell lining is one of the softest you’ll come across in the youth range. The materials used for the lining eases the catching of balls, and it also has basket webs for the pocket as well as Velcro straps so it fits nicely. 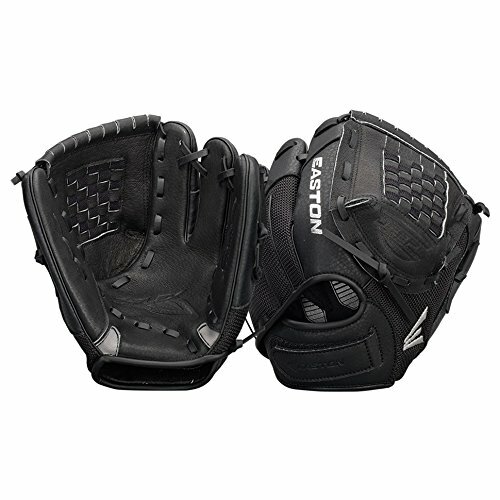 The Wilson A500 is one of the best youth baseball gloves today, and this version has been updated so it’s even more flexible. The glove is ready to wear out of the box and the leather used is top quality. Touching the glove and wearing will tell you that it feels like a real leather glove minus the weight. With the A500 you have a nice balance between comfort and flexibility. This is a basic glove, but that’s exactly what kids need, and one of the benefits is how quickly it breaks. One of the most common problems even with kids’ gloves is how difficult they can be to break. The A500 isn’t, so that’s a plus. 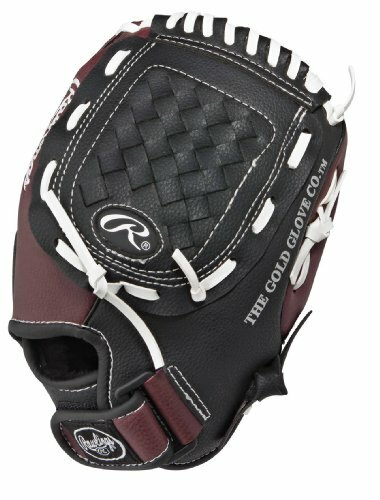 If you want to play catch with your kid then this glove will more than suffice. For some kids it might take a game or two until they become comfortable. For most they’ll probably feel fine the first time out. Like the other ZFX, the Z Flex Series is ideal for beginners and kids who want to play catch. Typical of other Easton gloves, these gloves are soft and easy on the hands, just what kids learning to play the game need. Because of its softness, kids can wear it without trouble. With the Z Flex Technology it’s easier than ever to close the glove. The leather on these gloves are extremely soft and clearly meant for kids. The palm’s design leads to longer stall lengths. If you wear the glove you’ll notice the little finger and the ring finger are joined in one stall. This is a nice feature and provides additional leverage if the glove will be closed. The glove also does a good job in keeping the ball inside the pocket. It’s Grab All Web design does exactly what it should: when the ball falls in the pocket, it’s not going anywhere. Last but not the least there’s a Velcro strap that gives the gloves a good fit, not too tight but not too loose either. If you’re looking for a quality baseball glove for kids that’s easy on their hand while still functional, this will do just fine. 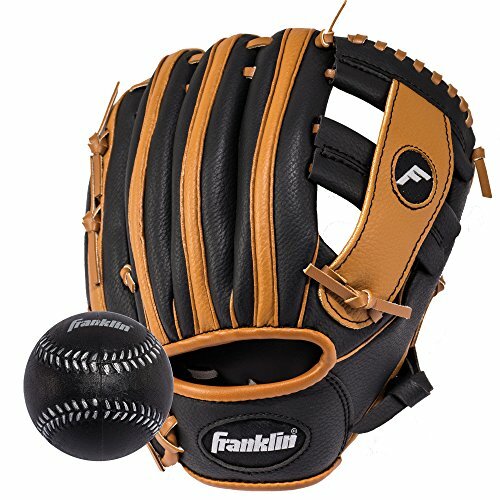 Last but not the least is the Franklin Sports Teeball Glove. Made from light PVC shell, the glove is easy on the hand and there’s no need for a break in. Unlike other baseball gloves that require several tries before it “feels right”, the Franklin works right off the bat so to speak. This glove was clearly made for young children, and it’s a great fit for left handed players. Quality wise the glove is comparable to those of adult baseball gloves, only this one is much softer and smoother. One of the most frequent complaints with youth oriented gloves is they are cheaply made. This one is an exception, and it’s clearly meant for regular use. The glove is ideal for 6 year old kids, and even 5 year olds can wear it, though it might be a bit large. Even so, the extra-large size might be advantageous to them since they’ll be able to catch the ball better. Overall, this is a very good glove for young kids and is well worth the purchase. These are the best baseball gloves for kids. Some of you may prefer one over the other or have this list arranged in a different way. But the fact is that based on online customer reviews and feedback from kids, these five best baseball gloves for youth are the cream of the crop and regardless which you choose, expect good results from them.